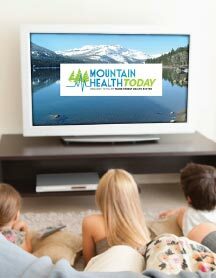 Introducing Mountain Health Today, the new TV show about health and health care in Truckee and Lake Tahoe. Join us for lively discussions about important educational health topics, and the role of Tahoe Forest Health System in our community. We'll cover topics like hospital pricing and cost, wellness, mental health, access to care, substance abuse and community partnerships. 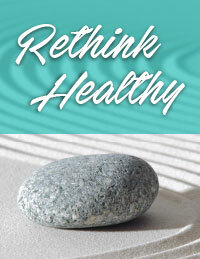 In short, anything that affects health in our local community. Guest Harry Weis, CEO of Tahoe Forest Health System, and host Ted Owens discuss the challenges of health care delivery in a rural setting. 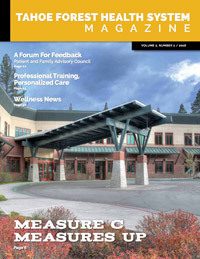 Guest Harry Weis, CEO of Tahoe Forest Health System, and host Ted Owens discuss Electronic Medical Records (EMRs). 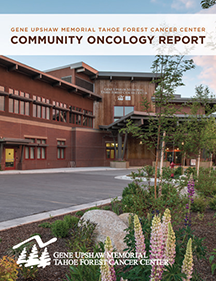 Guest Judy Newland, Chief Operating Officer, Tahoe Forest Hospital District and host Ted Owens discuss a variety of healthcare issues. 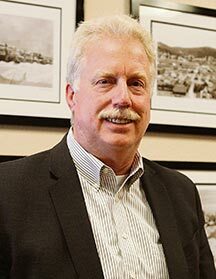 Guest Harry Weis, CEO of Tahoe Forest Health System, and host Ted Owens discuss Measure C.